Saturday marked the 24th Shrine Bowl, raising money annually for the Montreal Shriners Hospital for Children. It all came down to the final 30 seconds, proving once again that it’s never over until the clock runs out. Emotions ran high at Concordia Stadium, with heads butting both on the field and in the stands as three busloads of dominating and clearly inebriated Gaiters fans chanted and cheered their team until the very last moments of the game. The first three quarters proved the strength of the Stingers’ defensive line, denying Bishop’s all but a field goal and a safety. 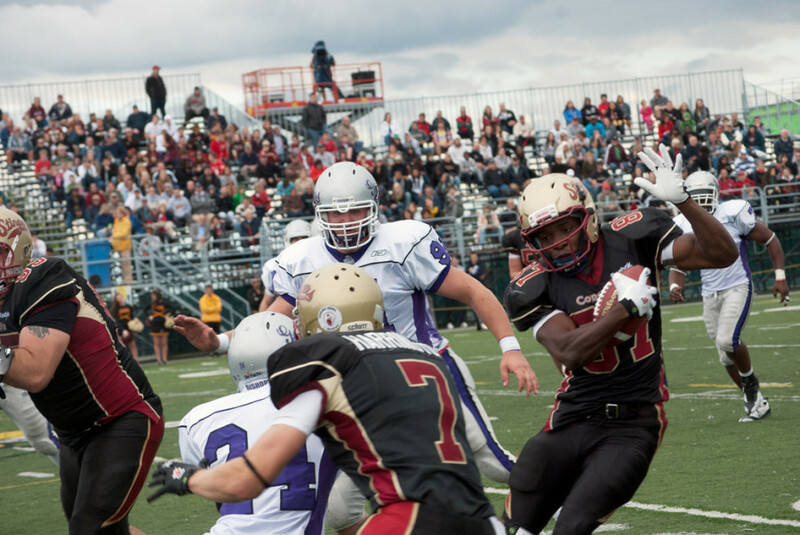 On offence, the Stingers drove the ball for a total of 410 yards and 21 first downs. Quarterback Terrance Morsink started once again in lieu of the injured Rob Mackay and completed 25 of 41 passes for a total of 326 yards. “I think Terrance is playing very well. Obviously we’re having to ask more of him than we really should want to from a second-year QB,” said McGrath, who noted his team’s troubles to run the ball. McGrath has become increasingly worried about the well-being of veteran QB Mackay, who suffered what appeared to be a minor concussion in the season-opener. Despite this otherwise solid game, the Stingers failed to get a single touchdown, relying on kicker Rene Paredes to put points on the scoreboard. 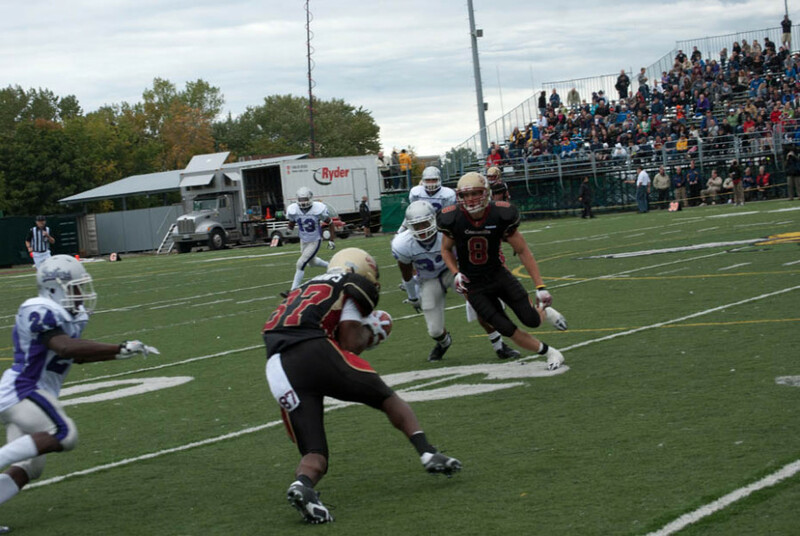 The Stingers came undone late in the fourth quarter, falling from a 17-7 lead to an 18-17 loss. With less than three minutes left in play, the Gaiters capped off a six play, 75-yard drive with a pass to David Haddrall for a questionable touchdown deep into the end-zone. Concordia players questioned whether or not the ball was caught in bounds. The late touchdown was followed by another safety, leaving the Gaiters trailing by a mere two points. Gaining possession of the ball, Bishop’s took every opportunity and capitalized on good field position for a 22-yard field goal with 24 seconds left on the clock. Security tried to contain the Gaiters’ fans as they poured out of the stands and onto the field, disrupting the Shrine Bowl ceremony. Morsink earned himself offensive player of the game, while nose tackle Maurice Forbes, who recorded six tackles, was named defensive player of the game. Paredes, who ended the game 5 for 5 on field goals, with the longest being 48 yards, was named Shrine Bowl MVP. 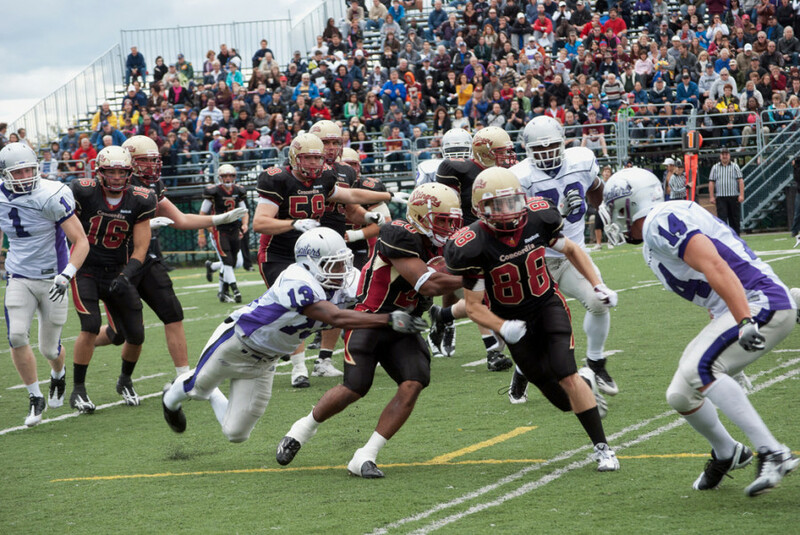 The Stingers will line up against the infamous Laval Rouge et Or in Quebec City this Sunday.